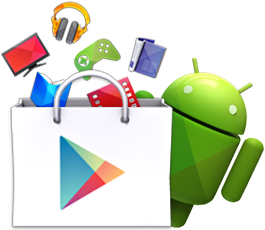 A priceless treasure for your library. 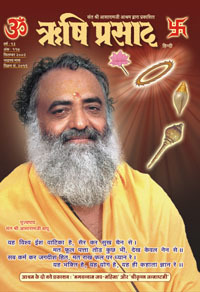 Started in 1990, Rishi Prasad has now become the largest circulated spiritual monthly publication in the world with more than 10 million readers. 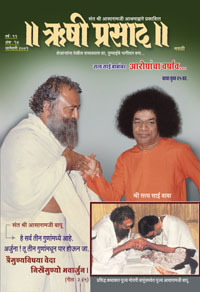 The magazine is a digest of all thought provoking latest discourses of His Holiness Asharam Bapu on various subjects directing simple solutions for a peaceful life. 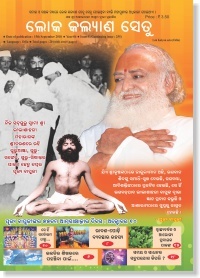 The magazine also features news on happenings at various ashrams in past month, inspirational texts from scriptures/legends , practical tips for healthy day-to-day living balancing materialism by idealism, Bapujis answers to questions raised by seekers, disciples experiences etc. 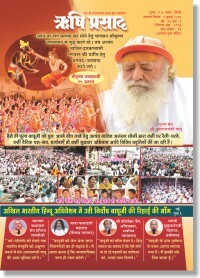 Details of upcoming courses and events are also listed in every issue. 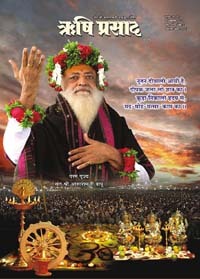 This is a wonderful gem that keeps one close to Bapuji always. 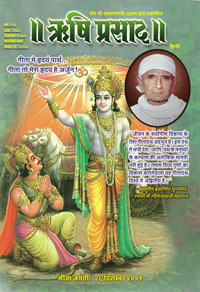 This Journal teaches the principles of Vedas, Puran and Upnishads in a very simple and pragmatic way and its articles appeal to people of all religions, ages, caste-creed, gender and social status. 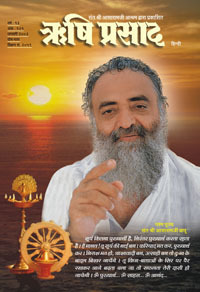 The magazine focuses on areas like spiritualism, culture, yoga and tradition. 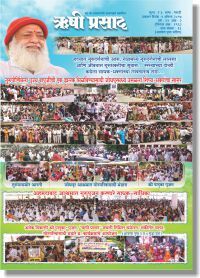 At the age of 70+ even, Asharam Bapuji is travelling across the length and breadth of India imparting spiritual knowledge to awaken the mankind and bring solace to the troubled souls. 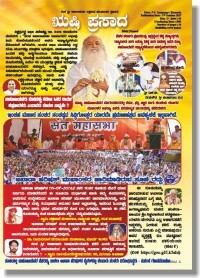 Rishi Prasad (his message to entire humanity) which started with just hindi language is now being published in multiple languages like English, Gujarati, Marathi, Kannada, Telugu, Oriya, Sindhi and Devanagari-hindi to reach the remotest corner of the country. 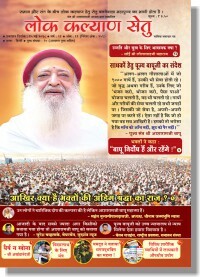 In the interest of easier and wider reach of all masses across the globe, under the guidance of Pujya Bapuji,online subscription and electronic edition of Rishi Prasad is launched at the auspicious outset of the New Year. The mission of this launch is to give a flexible and anytime access of a magazine which unbundles the secret of how to live a good life in a world full of stress, fear , despair and anxiety. Reading even a single page will give a new insight to approach life with a right attitude. We are accustomed to gifting people for their birthdays, anniversaries or just as a token of the love that we feel for them. Most of us would love to gift our loved ones something unique and meaningful. 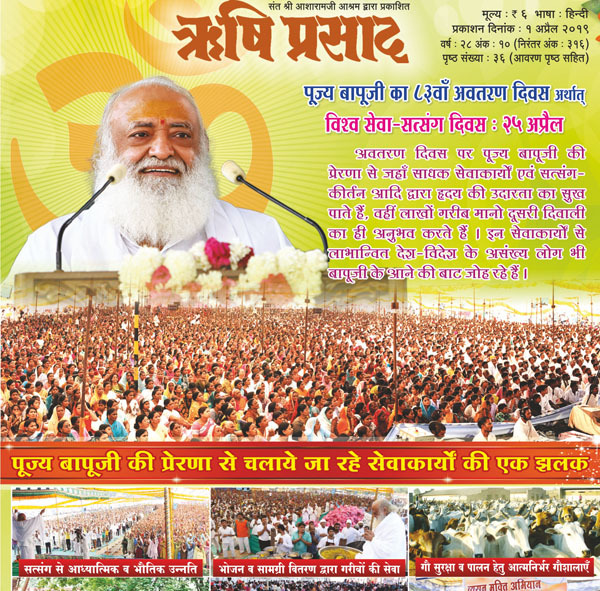 If you already a member of this magazine and have benefitted by reading its articles, spread its fragrance to your near ones on their special days. 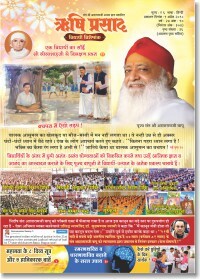 To contribute to the humanity as a whole, you can pass on the subscription of this book on your special days too. This would give you a real value of money rather than spending on transient gifts. Thousand of candles can be lit from a single candle, so share this candle as much as you can to illuminate the world. 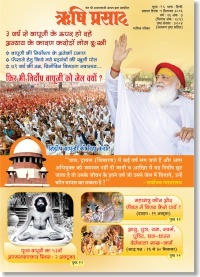 Keep abreast with the latest developments and activities of the ashram with enlightening gems of wisdom by Pujya Bapuji with just a click now.